The Little Gym International, Inc. (“TLGI” or “we,” or “us”) respects the privacy concerns of visitors to the www.thelittlegym.com Web site operated by TLGI (“TLGI Web site”). We want you to know: (i) the information that we collect; (ii) the steps we take to protect the information that you provide us; (iii) how we use that information; and (iv) when we share it with others. Generally, we may collect from you the information that is described below, and use it for the purposes described below. You can limit the information that you provide us by not submitting the online request forms described below, in which case you will not be eligible for the service requested in the form. If you visit the TLGI Web sites or download information we will automatically collect certain information (“Log Information”). This Log Information may include the: Name of the domain and host from which you access the Internet; Internet protocol (IP) address of the computer you are using; Browser software you use and your operating system; Date and time you access The TLGI Web site; and Internet address of the Web site from which you linked directly to The TLGI Web site. A “cookie” is a small data file that a Web site can place on your computer for record-keeping, administration, or to customize your experience. Cookies permit us, franchisees, and selected marketing partners to enhance your experience on our Web site and their Web sites. For example, if you select the “Make This My The Little Gym Homepage” feature on a franchisee Web site, the software will place a cookie on your computer so that the next time you type www.thelittlegym.com, you will be directed to your selected franchisee Web site. You may block or remove cookies on your computer by following the instructions on your Web browser. A. Enrollment Information: If you wish to enroll your child, you may do so: (i) in person at franchisee The Little Gym location; or (ii) by using the Find a Location page on the TLGI Web site, select a location and either a) send an email to the franchisee listed which includes personal information such as your name, ages of your children, and your contact information or b) by using an online enrollment feature you can enroll your child for a class online and pay for the class or enroll your child for an introductory class. These pages may collect and send us or our franchisees similar information (collectively “Enrollment Information”). 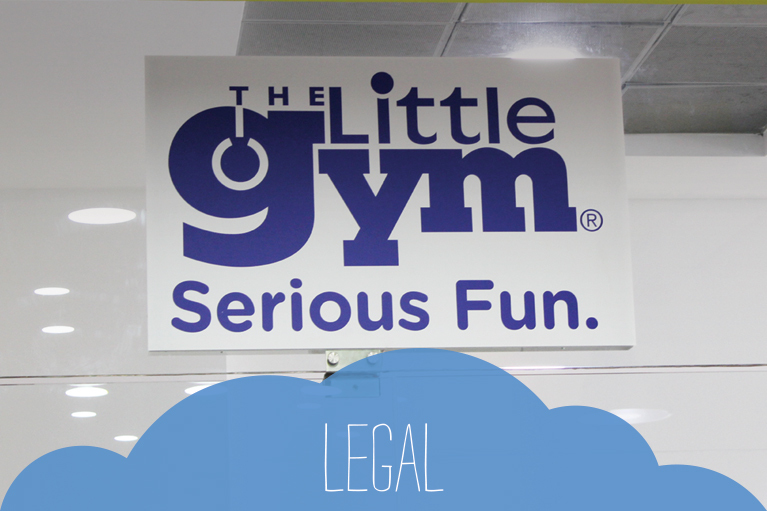 The Little Gym® locations are independently owned and operated by a franchisee. 1. The franchisee may retain your Enrollment Information to contact you about: (a) enrolling your child; (b) upcoming classes, products and services, and promotions. 2. TLGI may also retain your Enrollment Information for these same purposes, and may send you information about franchise opportunities. We also use this Enrollment Information to improve the usefulness of our Web site, to communicate with you about our franchisee classes, events, promotions, and franchise opportunities. C. Prospective Franchisee Information: If you are interested in learning about franchise opportunities with TLGI, you may complete the Request Franchise Information Form. If you choose to do so, TLGI will collect your personal information on the form. This form is not an application for consideration as a franchisee. TLGI may later send you an application form that collects additional information, including financial information such as an estimate of your available liquid capital and approximate net worth. (Collectively “Prospective Franchisee Information”) TLGI will not sell, rent, or otherwise disclose the Prospective Franchisee Information you provide without first obtaining your consent. However, if you are an employee of a current TLGI franchisee, we may communicate the fact of your application to your current franchisee employer. D. Resume Information: If you’re interested in working at a The Little Gym® location, you may send to any franchisee your resume by email or regular mail to the addresses posted on the Careers page located on each franchisee Web site. (Franchisees are each independently owned and operated.) If you send your resume to TLGI, it may share your resume with Franchisees located near you, but it will not rent, sell, or otherwise disclose the personal information in your resume to any other third party. If TLGI sends your resume to a Franchisee or if you send your resume directly to a Franchisee, TLGI will ask the Franchisee to not rent, sell, or otherwise disclose the personal information in your resume to any third party, but cannot guarantee that the Franchisee will not do so. A. Personal Information as an Asset of TLGI The personal information you provide to us is an asset of TLGI. If all or part of TLGI or its assets are transferred or sold, your personal information may be transferred as well. B. Children’s Privacy Our Web site is not for children under the age of 13. We will not knowingly accept personally identifiable information from anyone under the age of 13, and if we discover that we have accidentally done so, we will delete it. Children under the age of 13 must ask a parent or guardian to provide us any personal information online. C. Security of Online Payment and Other Data We care about the security of your personal information, and when you submit personal information, such as credit card information or child information, that information is encrypted and protected by Secure Sockets Layer Protocol (SSL) encryption technology and stored on our servers using standard security procedures and practices appropriate to the nature of the information. However, no transmission over the Internet and no electronic data storage method is 100% secure. Therefore, we cannot guarantee the absolute security of the personal information you provide to TLGI either during its transmission or its storage on TLGI’s systems. If you believe that the security of your data has been compromised, please notify TLGI immediately, and if it involves your credit card, immediately notify your credit card company in accordance with their policies.